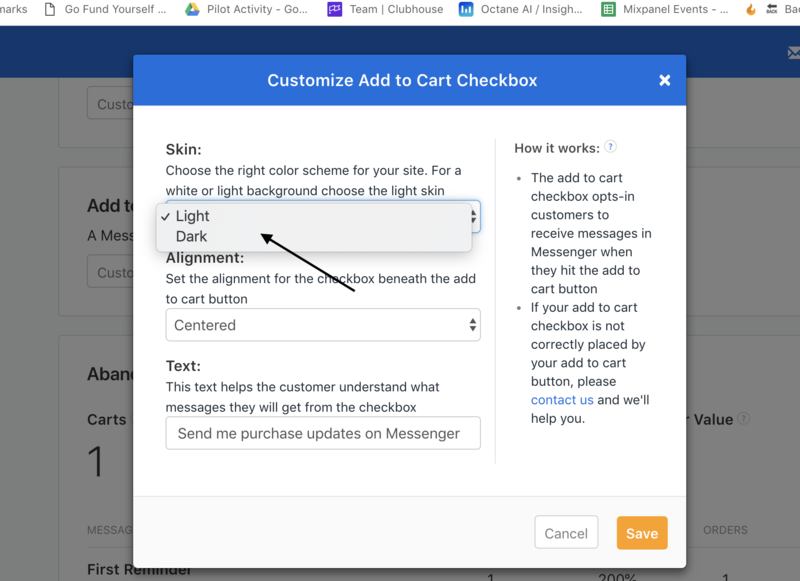 The add to cart checkbox is a Facebook plugin that is placed below the "Add to cart" button on your product pages. What's does the checkbox do? 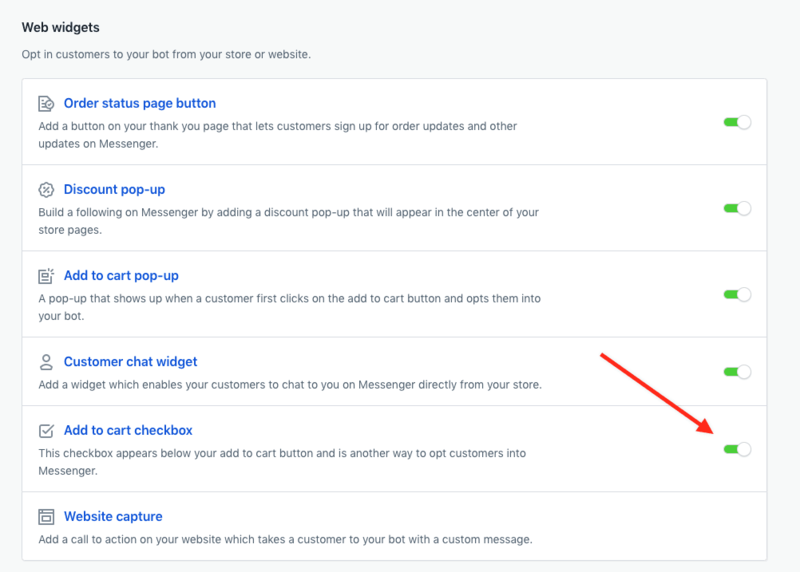 When a potential customer clicks on the add to cart button, but doesn't purchase the cart, an abandoned cart message will be sent to them on their Facebook Messenger. 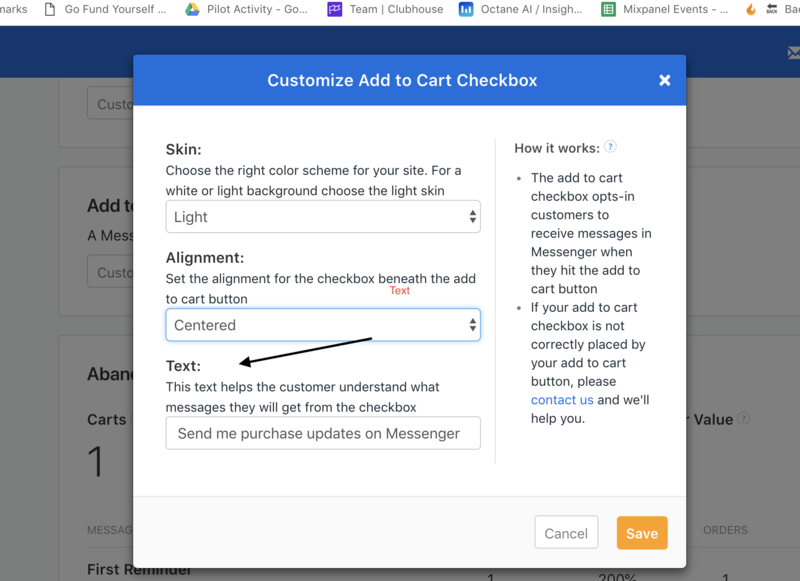 After the customer finishes the purchase order confirmations and shipping notifications will be sent to their Facebook Messenger. *Please note that customer needs to check the checkbox in order to receive the message. How can I turn on this feature? In order to turn on the add to cart checkbox simply go to your Home page scroll down to Web Widgets section and click on the toggle button. Can I customize the checkbox? Yes, you can. Simply click on widget and it will open the editor pop-up. Skin: Choose the right skin for the background color on your store. If your theme is light (i.e. a white background) you would select the light skin. Text: For Pro stores only, you can change the default text above the checkbox. Please note this text has to clearly state what messages your customers will be getting on Messenger once they opt-in. What if I turn it on and have an issue I need solved? For certain custom themes, you might need some extra adjustment from us to make it look right. 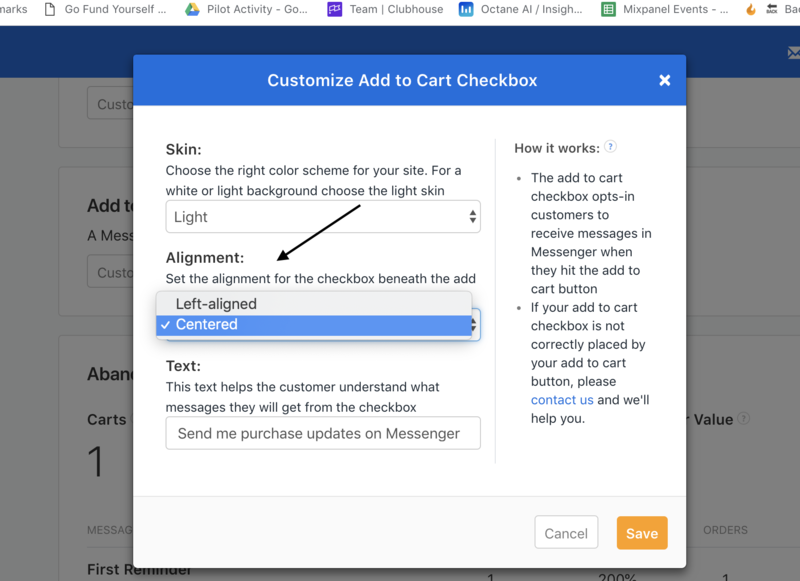 The best thing to do is get in touch with our support team through the widget in the bottom right or by emailing [email protected] Keep in mind, Facebook's rules require the checkbox be by the add to cart button, but we can make other tweaks you might need.